A black-and-white portrait of a young Queen Victoria keeps watch from the corner of the Library at the Fairmont Empress Hotel. Leaded windows look out to the front lawn and the Inner Harbour beyond, tourists wandering by and snapping photos as the sounds of the ever-present bagpiper on the corner leak into the room. 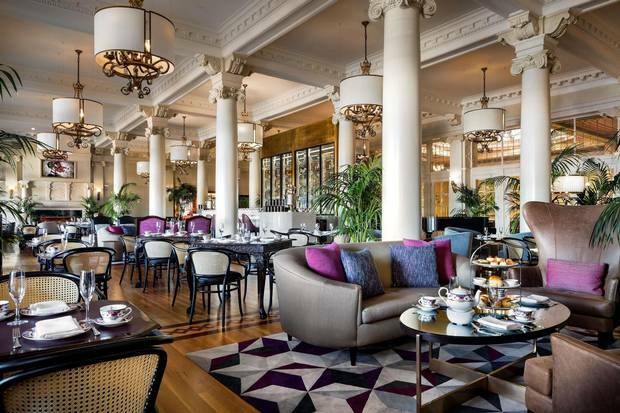 Down the hall in the newly renovated Lobby Lounge, guests indulge in the hotel's popular afternoon tea service, sipping their favourite brew (or a glass of Veuve) alongside elegant sweet and savoury snacks. Inside the Library, however, my mind is focused not outward, but inward. This weekend, rather than browsing the local galleries and museums, shopping for stylish souvenirs or taking in the scenic views, I'm gazing at a PowerPoint presentation projected on a screen, taking notes with a hotel pen and thinking deep thoughts: about my place in the world, about the purpose of travel and about the destructive power of FOMO. As someone who rushes through life at high speed, calendar packed and every moment accounted for, I don't always have time (or make time) to reflect – or to plan. But after a year of incapacitating back issues, new-to-me panic attacks and a general sense of feeling overwhelmed, it was time to take a breather. 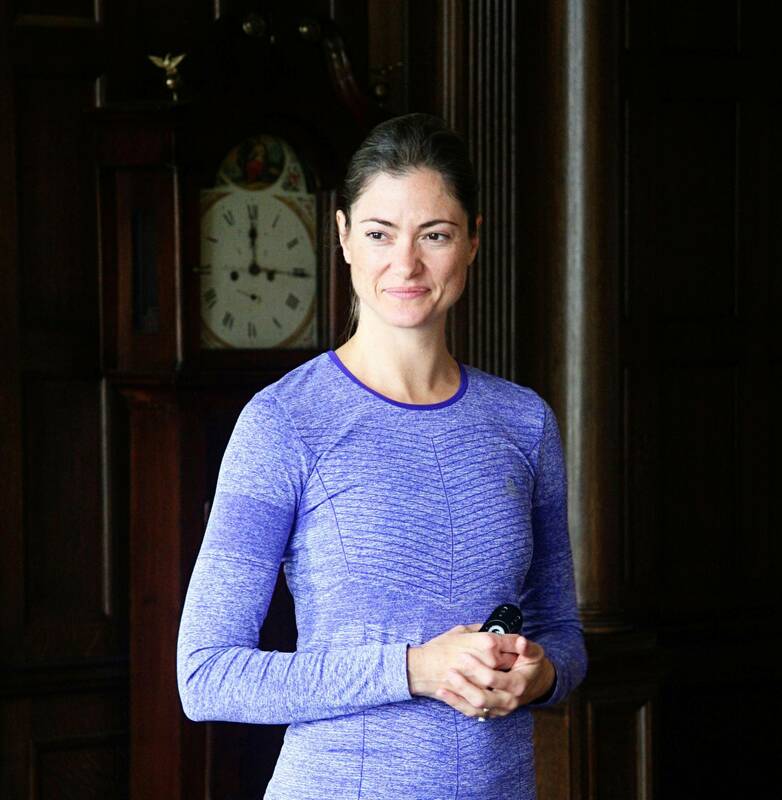 So when I was invited to join a group of attendees at this all-inclusive weekend retreat hosted by Vancouver-based wellness coach Catherine Roscoe Barr, I signed up immediately. The pitch for the retreat included enticing promises such as how to "become a rock star sleeper" and "prioritize physical activity" – both skills that have eluded me greatly in recent years as a small-business owner. The setting was attractive, too, and not just because Victoria in February tends to mean flowers instead of snowdrifts. I attended university and worked my first full-time job here, and there was something appealing about taking stock of my life and well-being in the city that launched me into adulthood. I'd expected some feel-good talk, walks around the city, yoga, meditation and healthy catered meals, all typical fare in the wellness travel sphere. But it was the thought-provoking lectures on the science of wellness that really got under my skin – and the even more thought-provoking (and often emotional) discussions among participants, many of whom were dealing with issues (such as post-traumatic stress disorder, postpartum depression and eating-disorder recovery) that dwarfed my own mundane early midlife crisis. "The biggest thing is learning to live with intention," Roscoe Barr says as she opens the retreat on the Friday evening. I've rushed in from an early dinner of huevos rancheros at Rebar, my favourite Victoria restaurant for longer than some of its servers have been alive, and am suddenly feeling old, as though the past two decades have flown by without any intention at all. The renovated Lobby Lounge at the Fairmont Empress Victoria. We're given breaks to contemplate and write down our thoughts on each topic, from reducing our "stress inventory" (my list includes such innovative ideas as "take actual days off" and "go outside for a walk every morning") to always being ready to counteract stress with activities that stimulate the relaxation response ("make plans with a friend" and "have a soothing, non-caffeinated drink"). Though some of the science is new to me, the lifestyle tips are hardly revolutionary – and yet I'm realizing with a sinking feeling that I haven't been practising them at all as I careen from item to item on my to-do list. I see parallels between my life in general and my life as a professional traveller, too: Seduced by the idea of checking off goals and experiences, I've been living for the destination, not for the journey, to flip a well-worn travel cliché. "Not all those who wander are lost." The Tolkien quote takes pride of place in curlicue-adorned cursive on many a travel influencer's Instagram account. Conversely, though, not all those who stride purposefully are found. While I believe strongly in the transformative power of travel – of opening one's mind to different ways of being, of meeting new people and, sometimes, of simply taking a much-needed break – I've increasingly become concerned about its potential destructiveness: the social and economic inequality so often exacerbated by the industry, and the severe environmental impact tourism can have on communities and the world at large. The irony isn't lost on me that I'm working through these issues from the comfort of a luxury hotel room that I took a plane to get to. Despite the soothing surroundings, I don't sleep easily that night, the "cans" and "shoulds" and "wants" in my brain duking it out in the dreamscape. The remainder of the retreat follows a similar pattern: hard truths about well-being followed by exercise breaks followed by healthy, flavourful meals prepared by the hotel's kitchen. 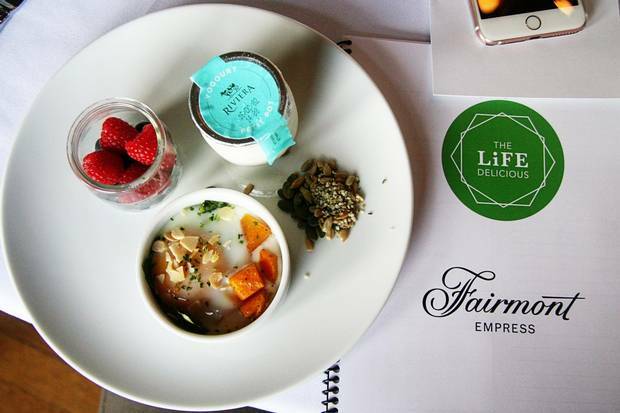 Breakfast is served at the Fairmont Empress Victoria during the wellness retreat. The truth is, of course, ocean aside, there's not much I'm doing here that I couldn't do at home in Toronto. I could read the same books Roscoe Barr reads, watch the same videos online, come to the same obvious conclusions about how working on the computer too late at night probably affects my quality of sleep (I'm doing it right now). But there's something about a getaway – especially one you take alone – that provides the opportunity to reflect a little deeper: the blissfully clutter-free hotel room, the escape from routine, the lack of a pile of dirty dishes to distract you from what matters. It's that freshness of perspective that I value the most about travel, and one that I admit hasn't always been there on my trips of late. 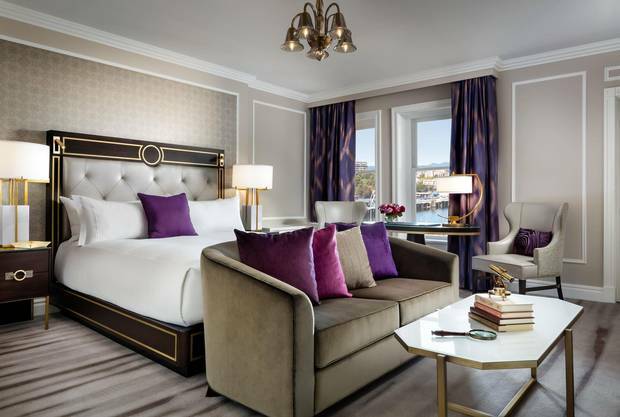 A Fairmont Gold harbourview room at the Fairmont Empress Victoria. Throughout the weekend, it's the idea of living with intention that sticks with me, of making choices that I'll feel good about later. Roscoe Barr calls it a Marie Kondo approach to decision-making, inspired by that guru of decluttering and tidying up. Just as you might choose to make space in your home only for things that matter, she says, choose to make time in your life for only the experiences and opportunities that truly bring you joy. For me, this means saying no more often, being more present in the world, and opening up space in my life for serendipity. And, sometimes, staying up too late on my computer to get some work done. As long as I don't make it a habit. 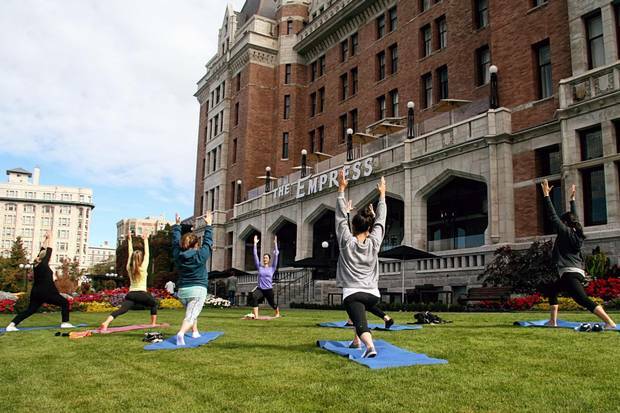 The next all-inclusive Luxury Wellness Retreat at the Fairmont Empress Hotel in Victoria runs Sept. 29 to Oct. 1, with a subsequent session tentatively scheduled for late February. 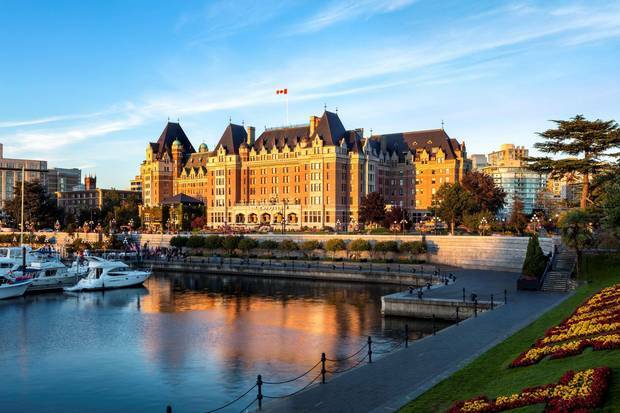 From $1,249 a person ($1,149 with double occupancy), $999 not including accommodation, fairmont.com/empress-victoria. Catherine Roscoe Barr offers wellness retreats throughout the year at various destinations. Find the latest list at thelifedelicious.ca/retreats. A convent rebooted into a boutique hotel, Le Monastère des Augustines is conveniently located in the heart of Quebec City but self-contained and serene behind stone walls. Simply stay to make use of the space on your own, or book a package that includes meals, activities and services such as massageor reflexology. From $74 per person a night, monastere.ca. Hugely popular during the aurora borealis season, Northern Lights Resort & Spa outside Whitehorse is a worthy destination any time of year for its relaxed, down-to-earth atmosphere and access to nature. Summer B&B stays from $185 per person a night; three-night aurora-season packages from $675 a person, northernlightsyukon.com. Alaska itself is "getting away from it all" for many, but to take it up a couple of notches, head to the exclusive Stillpoint Lodge, a short boat ride from the artsy town of Homer. All-inclusive, customized packages include gourmet meals, group yoga classes, hiking, a massage, and access to amenities such a hot tub, a meditation cabin and even a labyrinth. Open May 25 to Sept. 24, from $1,200 (U.S.) per person a night, stillpointlodge.com. All the rooms at Iceland's Hotel Budir have a view, be it of the Snaefellsjokull glacier, the ocean, the mountains or the stunningly understated all-black church Budakirkja. In summer, take advantage of nearby hiking trails; in winter, go ice climbing or watch the Northern Lights. Year-round, enjoy the local-centric Nordic cuisine in the hotel's restaurant. From 25,000 ISK ($285 Canadian) a night, hotelbudir.is. Trip support was provided by Destination BC and Fairmont Hotels. They did not review or approve this article. Editor’s note: A previous version of this article incorrectly stated the price of a stay at Stillpoint Lodge as $960 (U.S.). It is actually $1,200.